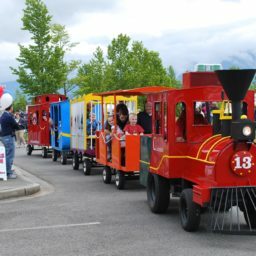 Our 50-ft long mobile train is a “One of a Kind” attraction. 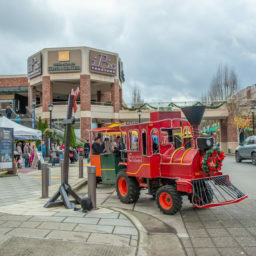 It was built locally and features a train engine with a sound system, PA, whistle and siren, and four unique covered cars. 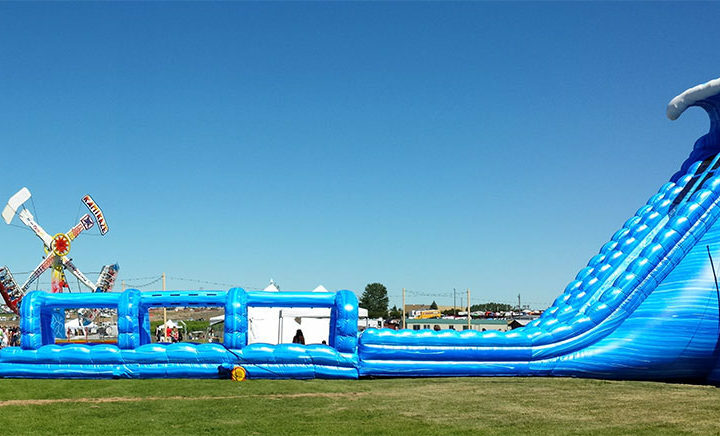 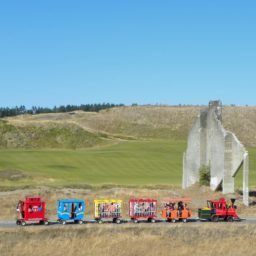 Our train can be used to give rides around the event site or even as a shuttle between site and parking areas. 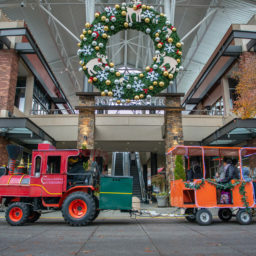 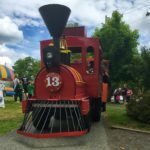 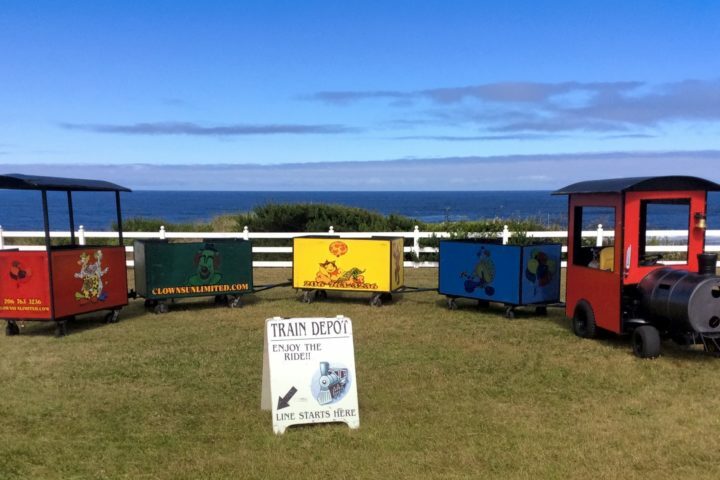 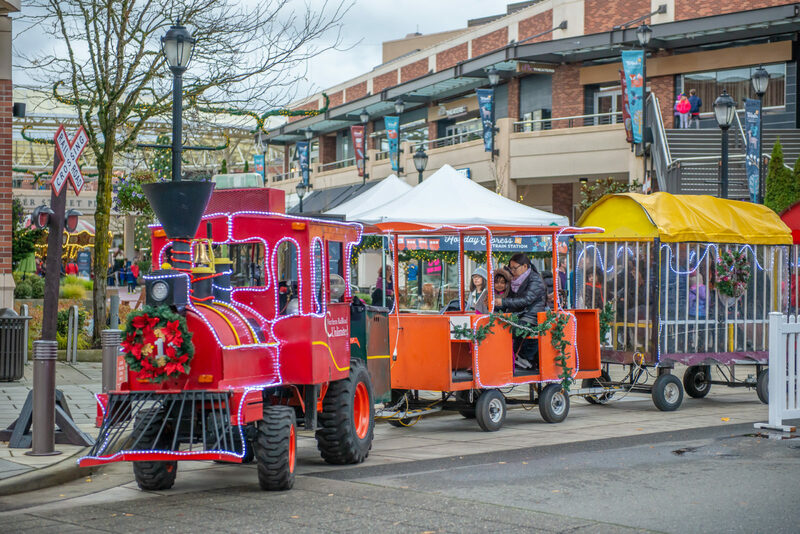 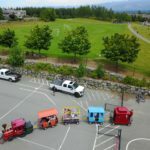 Trackless trains are a great way to add fun and smiles for kids at just about any outdoor event! 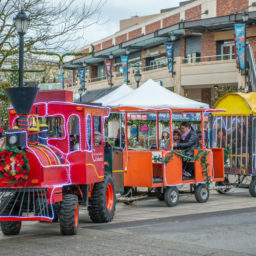 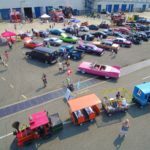 As the name implies, these trains don’t use tracks, with the ability to drive through parking lots, pulling loads of smiling and laughing passengers.